Well.. here is my solution with exactly materials and a little mod on board.. i hope working for all people,s ! So if you do not work and this mod, maybe you should check thoroughly all the solders of the board. What are the reasons for the capacitor strap? Last edited by DrCoolZic on Wed Feb 01, 2012 9:10 am, edited 1 time in total. 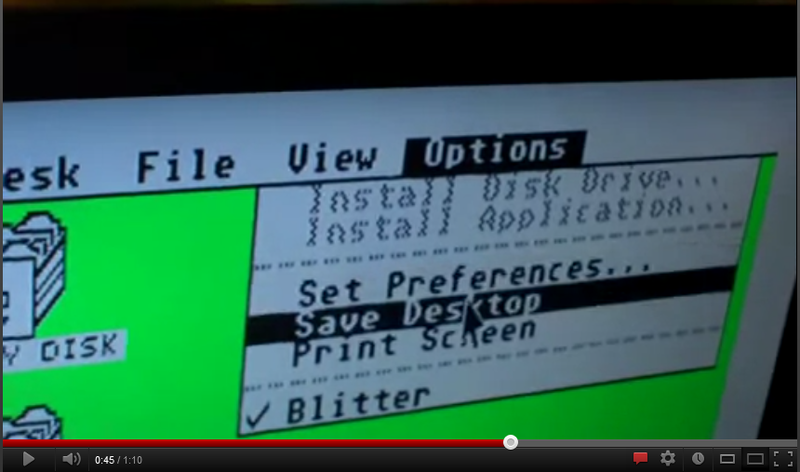 horizontal sync and vertical sync on the Atari computer. Here is a link to good information. Read it. Figure it out. Use it. That capacitor is literally useless. I've got one of these boards + hooked it up to my st and it works no different with or without it. So, we use the earlier schematic to make up cable? This will make a stable composite sync with no judder/roll or shorting of the atari itself. You can avoid this circuitry as the signal is generated in the Atari STE. If you look at the STE schematic http://info-coach.fr/atari/hardware/video.php#schematic you will see that the composite signal is available in circuit U209A as well as its complement on U211C but unfortunately it is not available on the video connector. Why making composite sync, if both devices have separated vertical and horicontal sync? 1st1 wrote: Why making composite sync, if both devices have separated vertical and horicontal sync? I like how you both come up with alternatives to my suggestion, but they're both more of a pain to do. Yes, But if it wasn't for people playing with solutions.. we wouldn't have them. At the very start of the threads.. It didn't work out of the box. Watch out everyone, he's got an excuse! Anyway, am I unlucky with GBS boards or are they just a bit rubbish? They seem to choke completely on patterns, like desktops... Horrible vertical bands, some areas stretched very slightly horizontally, others squashed very slightly horizontally. I don't think they're really that suitable for using a computer on. I think something more bespoke is needed. It is interesting that the ST's 640 pixel mode (ST medium) has a visible border around it, but Amiga's 640 mode (PAL high res) fills the entire TV-Safe area... And of course the TV just sees a 625 line signal anyway... Hmm. I imagine picture quality could be greatly improved if we could guarantee each pixel is exactly doubled/tripled/whatevered, then mapped to a resolution equaling the monitor's native res. 1080p would end up with 640 pixels worth of border, horizontally, after doubling the image. Anything less than 1280x800 and you couldn't scale at all, just add huge borders. And 13-Pin DINs of the type STs use basically don't exist anymore. I had to steal a socket from a monitor switchbox just to replace one with a pin broken off in it. We're in a pickle, aren't we. I wonder about a drop in replacement motherboard with a vga socket... A man can dream. like i posted in the other thread, mine works perfectly with the 'sync' circuit added. it's coped with plenty of demos and various desktops and looks just as nice as my CM 8833. I hear it said but I've never seen it on my monitors. Ever. Even when I have heard similar claims and gotten "proof" of them, it's shown the same defects as mine. Load up some test cards, take some photos. As you can see it's far from sharp. Text is slightly ghosting. If your CRT is that bad then get it calibrated. You know pixels have corners, right? Does "Eye of the Tiger" music play in the background when you say that? I know we are from the era... cos I was thinking of that song as I typed it. I hadn't bothered to buy one my self.. but now I will just to see the drama. So to be annoying- instead of resisters in the simple version, why not a pair of signal diodes? It would drop the voltage a bit too as a bonus. 1N4148 or similar. Then the lines wouldn't been see as a short to the Atari. Otherwise I'll build the circuit from Mark and compare the image quality to the resister/cap method. For fun. Digital is best. I haven't used colour in ages. I should do it... mount the GBS above the RF modulator....maybe. Silly_Pony wrote: Anyway, am I unlucky with GBS boards or are they just a bit rubbish? They seem to choke completely on patterns, like desktops... Horrible vertical bands, some areas stretched very slightly horizontally, others squashed very slightly horizontally. I don't think they're really that suitable for using a computer on. The GBS is about as good as you can do without replacing shifter, and possibly other stuff. The funky pixel clock pretty much guarantees that any off the shelf doubler won't look good. I notice that some sellers now have HD9800/GBS8200 V5.0 boards for sale (see here (UK) and here (USA)). Anyone got a V5.0 yet? Does it work better?